Bring in the power of videos into your Slack accountThe best video recorder to capture your screen/webcam and edit videos. 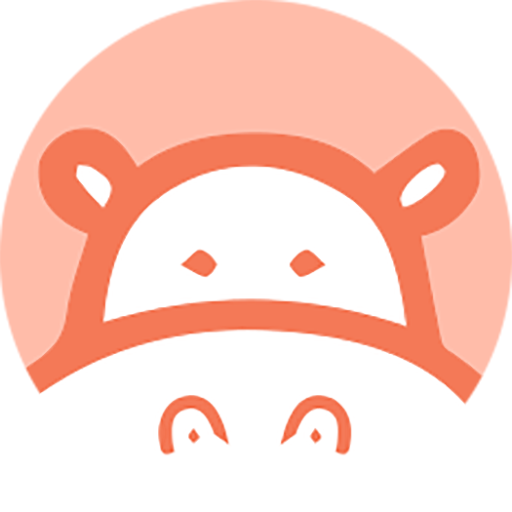 Hippo Video makes video recording easy. 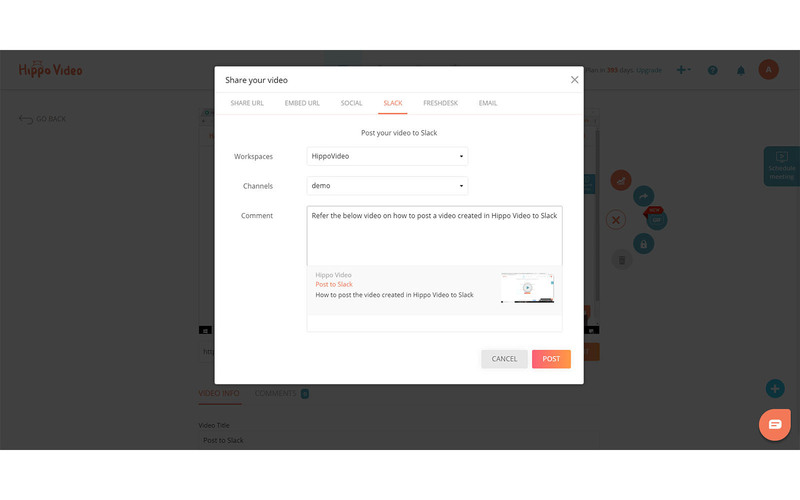 You don’t have to be a video expert at creating videos with Hippo Video because it’s interface is easy and straightforward.You can share your videos via Slack messages or to a Slack channel directly from Hippo Video. Hippo Video EditorHippo Video also comes with a wide range of powerful editing tools. Both basic and advanced edit options are available.You can amp up your video with our basic edit features such as Quick Edit: Hippo Video has a quick video editor that lets you trim clips, cut, and crop videos. You can also add text, emojis, and callout to give your videos more context. Also, you can import videos to start editing.Pro Edit: Hippo Video lets you add unlimited audio and video tracks, adjust clip setting, and callouts just like any professional video editor. Add introduction and end cards to the video too.Annotate: Point it out right from versatile markup options like highlight, focus, erase, pause and play to find those perfect shots.You can also easily highlight any part of the video to let your co-workers know it is important.Create GIFs: Hippo Video allows you to make GIFs from its platform itself using short videos.Now, communicate seamlessly with your team members using Hippo Video. Get startedStart recording a video using Hippo Video. Your video will now be sent to the selected channel or team member and they can access the video whenever they want. Hippo Video will be able to access information about your workspace, including name, email domain, and icon. 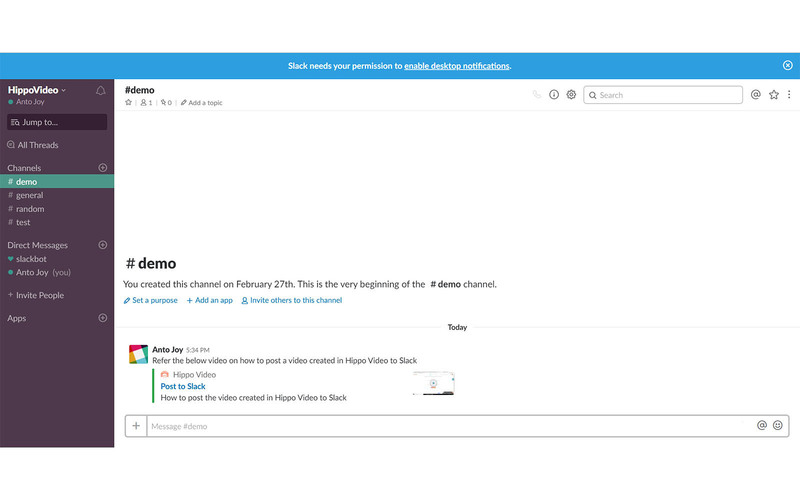 Hippo Video will be able to view the email addresses of your Slack workspace’s members. Hippo Video will be able to modify the unread status of your direct messages. Hippo Video will be able to access basic information about your public channels (including names, topics, purposes, creation date, and latest message). Hippo Video will be able to access basic information about your private channels (including names, topics, purposes, creation date, and latest message). Hippo Video will be able to access basic information about your direct messages (including names, topics, purposes, and creation date). Hippo Video will be able to access profile information for all users on your workspace, including names and contact information. Hippo Video will be able to send messages on your behalf to your workspace.